High-performance charged-couple device (CCD) cameras have opened up an exciting new window on the Universe for amateur astronomers. This book provides a complete, self-contained guide to choosing and using CCD cameras. Beginning with a no-nonsense introduction to CCD cameras, the authors explain what determines camera performance and demonstrate how to use a CCD camera and accurately calibrate the images obtained. The book also presents a clear review of the software available for visualizing, analyzing and processing digital images. Finally, the authors navigate a series of key areas in astronomy where astronomers can make the best use of CCD cameras. This handy volume is packed with practical tips. 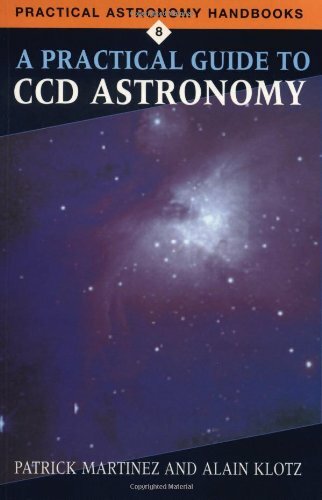 It provides a clear introduction to CCD astronomy for novices and an indispensable reference for more experienced amateur astronomers.